There are concerts in a nearby park every Tuesday in July. We went there last week with bear sliders bento. 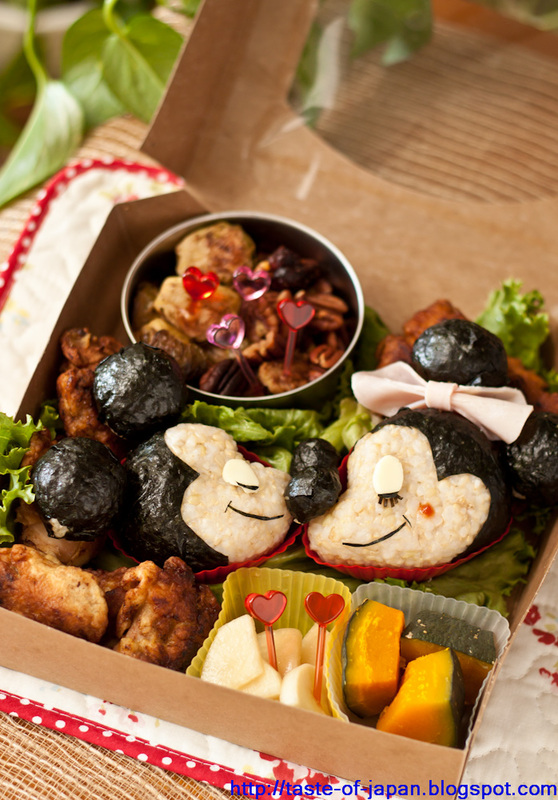 This week, I made Mickey and Minnie karaage bento. 1. 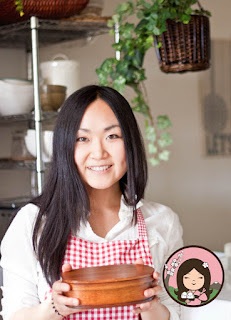 Mix soy sauce, sugar, garlic and ginger. 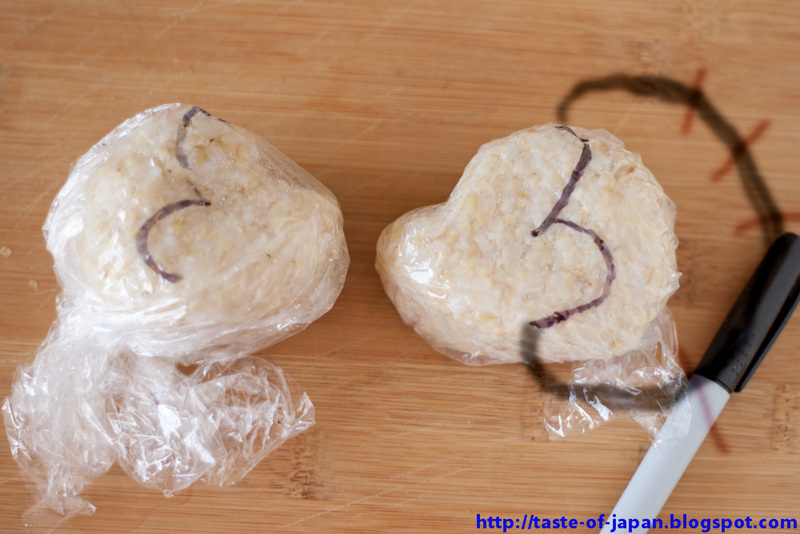 Marinate chicken and the mixture in a plastic bag. At least 1 hour. 2. 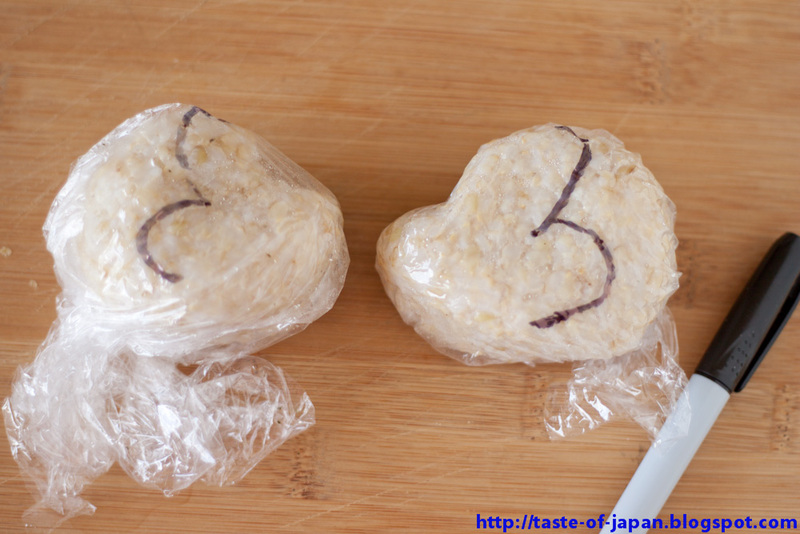 Add 1tbs of potato starch and massage the chicken over plastic bag. 3. 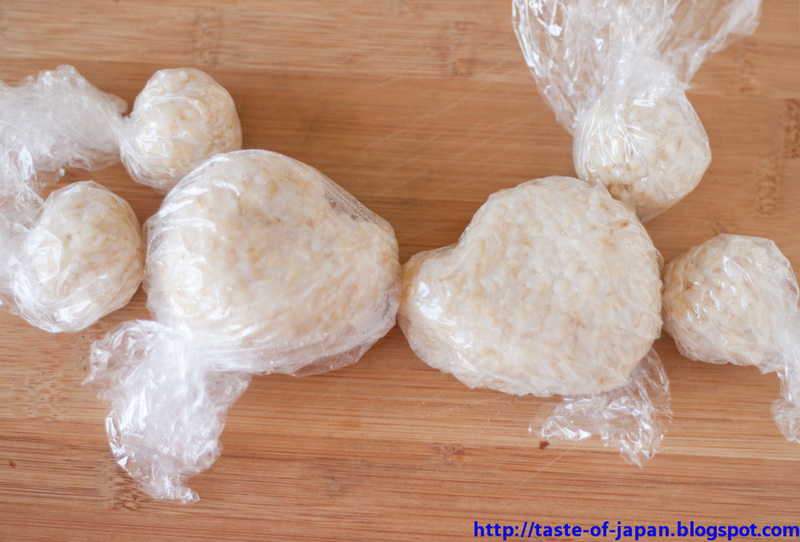 Put more (a lot enough to coat chicken) potato starch and shake the plastic bag. 2. Draw the line with sharpie. 3. 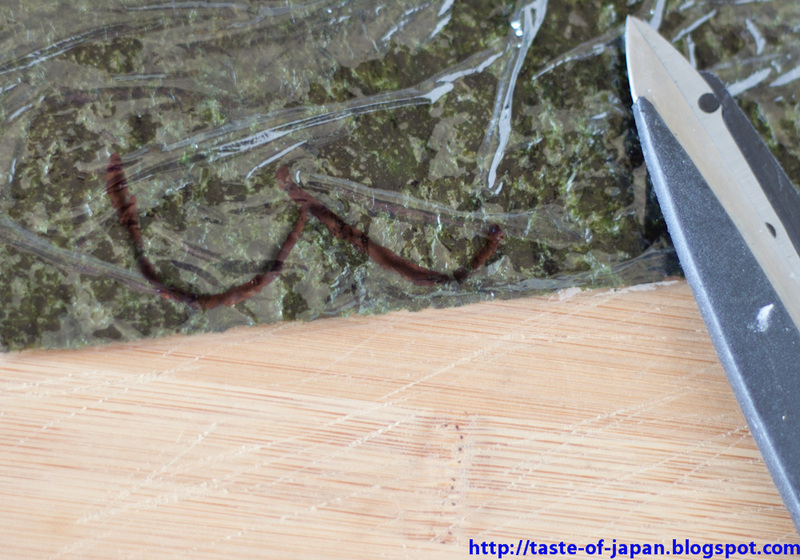 Unwrap the plastic wrap and use as a guideline to cut nori seaweed. **Cut the seaweed big enough to wrap their face. (See the picture on the right) It's easier to wrap seaweed if you cut slits as shown. 4. Wrap seaweed around ears and noses too. 5. Make the face parts with sliced cheese and nori seaweed.